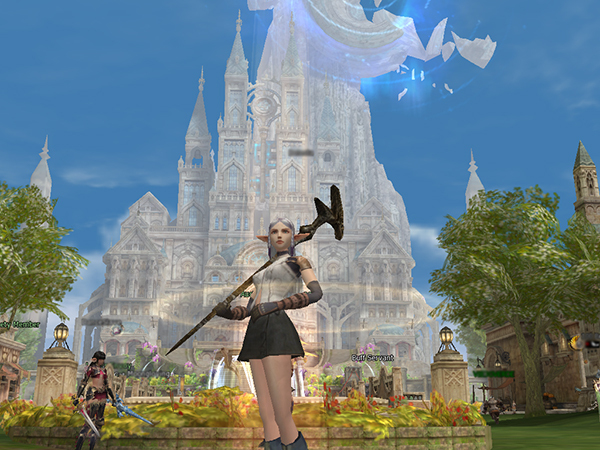 For those who don’t know it, Lineage II is a wondrous massively multiplayer online role playing game (mmo rpg). Great part of its charm is attributed to the fact that is takes place on a medieval fantasy setting and it’s almost as if you are playing your own DnD game, but online and with other people. Of course, the mechanics of all similar games are inspired by DnD, still there is a great deal to be said about a magical visual environment. 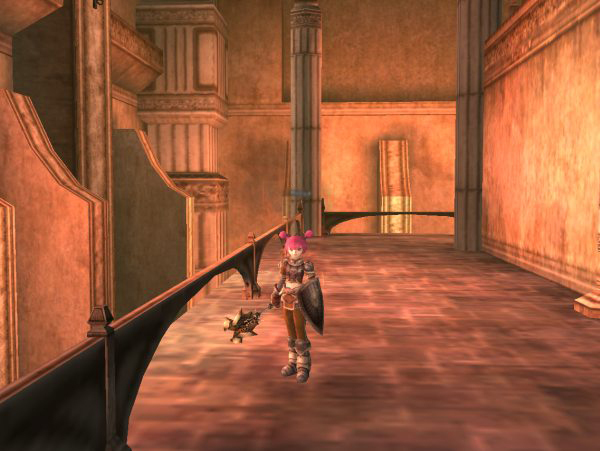 I have played L2 for a long time, about ten years ago, on low rated private servers and the older chronicles. I also played the official server about eight years ago. The older official experience was horrible. Not only the xp rate was so low, that you had to grind for dozens of hours to advance, but you couldn’t even afford to buy shots for your weapons. After all this time, I played again on a private L2OFF H5 server with x15 rates. The game had changed a bit, the buffs and the higher rate made the game a bit more fun. 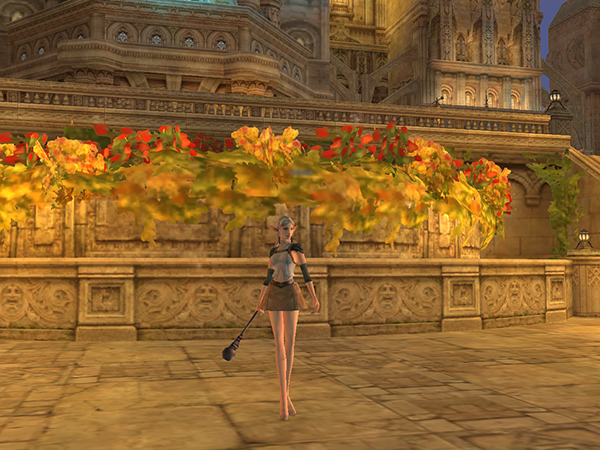 Eventually though, the server closed and I embarked on a quest to find a really good l2 server. I tried many java servers. In my view, they distort the nature of the game and it loses its meaning. It’s nice to log to a java server once in a while but you don’t get the same sense of accomplishment in the raids, everything is much faster, you can’t bond with the people in the clans, its mostly pvp orientated, and the pvp system (at least in the older chronicles) has some serious flaws. 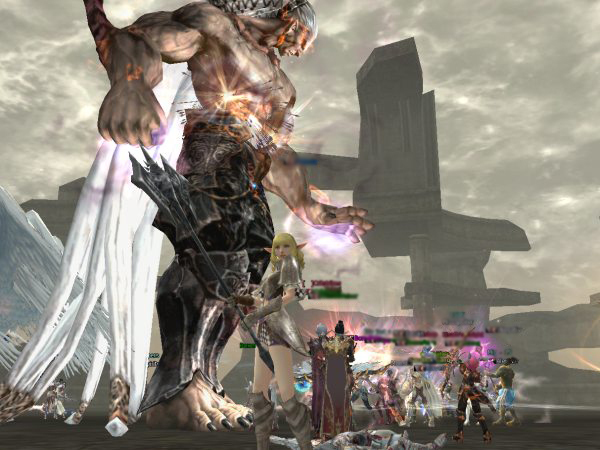 L2 Off private servers are very rare, because they require an expensive license from NCsoft. I did try another one but it had even lower rates than my previous one, no buffs and it felt as if I was struggling on an official back in 2006. That’s not my idea of fun. If I am going to struggle, I may as well try the real official server and just play there sporadically, I thought to myself. There is a new feature called “Mentorship” where you form a contract with a higher level player and you get 50% more xp and mentor buffs. The mentor also receives various bonuses as you progress. 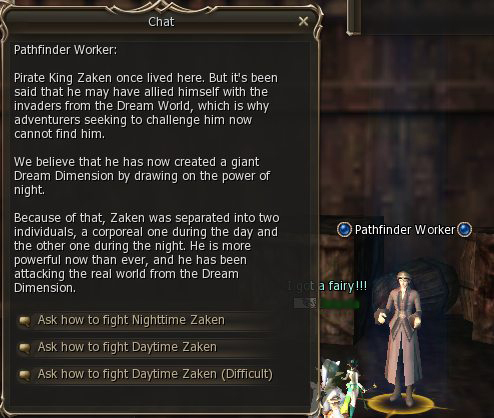 There is a newbie buff npc as well. There is a quest arrow guide that makes finding the places very easy. Teleporting is free (!) until lvl 76 and the gatekeeper will show you the place you need to teleport for your quest, first in the list of places. I think NCsoft has grasped that making the game extremely difficult for the players simply discourages them from playing. With this new kind of system, its actually fun to play. Fun to play on the official? Who would think of that? But its true. Everyone is searching for l2 fun in java servers, while its in the real thing; in the official server. And its free. I am still lvl 49 so I don’t know what other changes I am going to face and how the gameplay is after lvl 85. So I am waiting impatiently to find out. 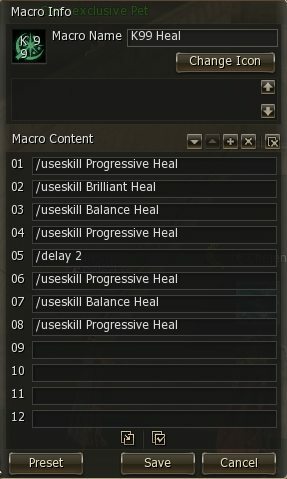 Other features are that you no longer need to learn skills at your class masters, you can do this any time from your own skill tab. The sp is not rare and you always have plenty to learn all the skills. One downside to the whole dreamy experience was the bots. As I was doing quests, there were so many characters with names like “xcxcxcxcx” or “rtrtytrytrtryrt”, clearly nonsense names and big groups of bots. Although fundamentally, I am not against botting, when it starts to obstruct the quests and the xp of a normal player, then it becomes a serious issue. I had to fight with so many bots for getting the mobs and the quest items, repeatedly. I am continuing with the hope that in higher levels, there will not be so much obstructive botting. Update: Botting is an issue in the American l2 servers but not in the European ones who have much higher security and stricter bot policies! Another downside was that the game is quite heavy for my computer, I have to play with low graphics and low resolution. It clearly demands a better PC suitable for games, while the older chronicles can be played on any pc. But once you have a taste of the real thing, there is no going back to H5. After a couple months, I realized that I was playing the game without a graphic card, I had forgotten to install it :D. After installing the graphic card the game run much smoothly so, it does not really require a gaming pc to play it. Just a medium normal graphic card. For the class I am playing (Elven Elder) I discovered that the inquisitor state has been removed and now you can use inquisitor skills and normal skills without having to change transformation. That is extremely useful and cleverly done! Obstructive botting continues to be a problem, but one of the things one can do is simply go and gather all the gold that they are leaving behind. At around lvl 49 the chain of quests stopped. I did the Pailaka quest but still had to grind levels to 52 where there is another chain quest available. At level 54 the chain broke again and it looks like I have to grind up to lvl 58 for the next set of quests. So, killing mobs is still in the game as a way of xping, and to be honest I would prefer if they had more chain quests and changed the system completely into a quest based xp. The only problem is, there are far too many bots in the areas where one could grind. Grinding now means fighting for the mobs, pvping or even pking. And that is dark area of the game. 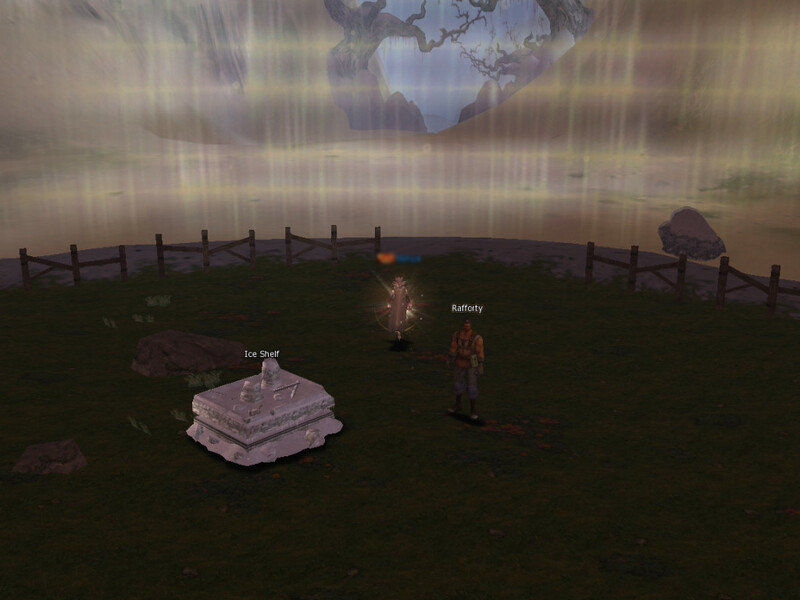 The once most majestic starting area of L2 now looks abandoned. The church is closed with bars, there are no npc’s, not even a gatekeeper. The Mother Tree has withered and there is only a teleporting device in the middle of the village. It’s quite a sad turn of the story. Did the Elves go .. “into the West”? There is now a starting area common to all races, which is majestic as well and that’s proably the reason they closed the area down. 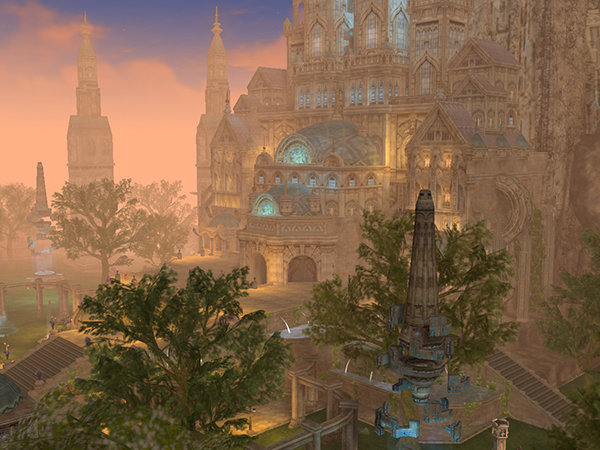 Still, there is something nostalgic that drew me to the Elven Village. I am not sure there should be a classic area looking totally abandoned. The Gremlins are still there!